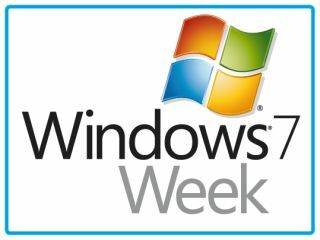 Windows 7 has launched and TechRadar has all the angles covered with our Windows 7 Week, which kicked off last Friday. If you're trying to decide which version of Windows 7 to buy, then check out Which Windows 7 version should you buy? There are six editions of Windows 7, but only one you want. For a more in-depth look, we've got a full Windows 7 Ultimate edition review and a Windows 7 Home Premium review. If you're planning to upgrade to Windows 7 from Vista or XP, then you'll want to read Windows 7 upgrade: your options explained. Perhaps you're not sure whether the upgrade is worth it? 18 cool things Windows 7 does that Vista doesn't might change your mind. And check out our interviews with analysts and retailers - will Windows 7 live up to the hype? Gamers will want to read our Q&A with spokespeople from Nvidia and AMD on DirectX 11: DX11: everything you need to know. For a comparison of Windows 7 with earlier versions, Windows compared: Windows 7 vs Vista vs XP has the lowdown. Still not convinced? Then save your money and get Windows 7 features in XP and Vista. There's Windows nostalgia on TechRadar this week, too - check out our Windows retrospective too - boot screens through the ages, 24 years of Windows package design and a history of Windows ads. And remember that you don't have to lose your old OS just because you install a new one - our guide, How to dual-boot or virtualise Windows 7 explains how you can run Windows 7 without affecting your current system. Before you kick off the install, check out How to get your PC ready for Windows 7, so it's a smooth process, and then How to back up and upgrade to Windows 7 to get the process underway. And once you're up and running with Windows 7 be sure to check our ultimate list of Windows 7 tips and tricks. There's lots more to come, so check back to make sure you get the latest news, tips, tricks and essential Windows 7 advice. For more on Windows 7, check out the WIndows 7 Resource Centre, created by our colleagues at PC Plus magazine.